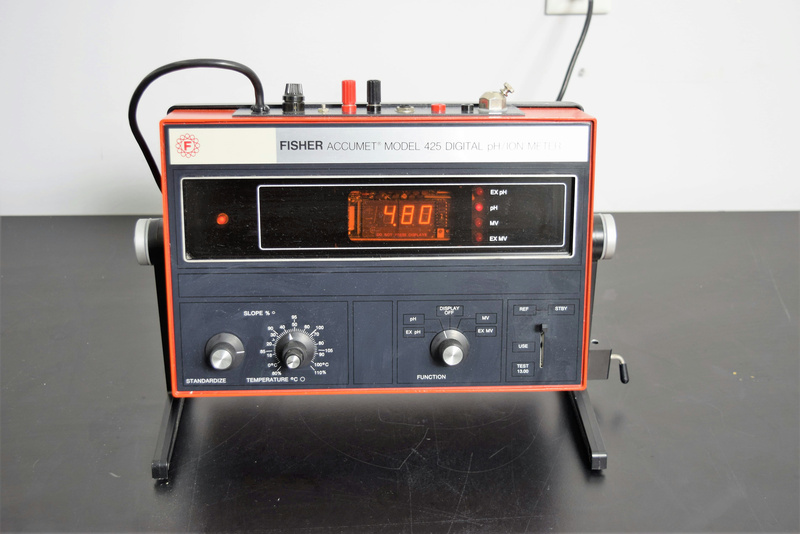 Fisher Analytical Accumet Model 425 Digital pH ION Meter . New Life Scientific, Inc.
* Tested, everything performs as it should. * Cosmetically this system is in good condition. Looking for a low cost pH-ion meter, look no further. This may be an older model but all the functions work as they should. No probes or accessories come with this meter. Our on-site New Life Scientific technicians confirmed that the display turned on, the knobs responded, and the buttons flickered. Without a probe or cabling, the efficacy of the meter was not confirmed.